A man learns by two things. One is reading. The other is association with smarter people. Brinks, Rose L.1988. Bingham Hill Cemetery: Laporte & Bellvue, Colorado, Don-Art Printers, CO, 88 pages. Brinks, Rose L. 1998. History of the Bingham Hill Cemetery: Laporte & Bellvue, CO, Citizen Printing, CO, 210 pages. Wommack, Linda. 1998. From the Grave: A Roadside Guide to Colorado’s Pioneer Cemeteries, Caxton Press, ID, 476 pages. Ahlbrandt, Arlene Briggs. 1998. Annie, The Railroad Dog: A True Story, Citizen Printing, CO, 18 pages. Bancroft, Caroline. 1959. Denver’s Lively Past: From a Wild and Woolly Camp to Queen City of the Plains, Johnson Publishing, CO, 48 pages. Bancroft, Caroline. 1961. Colorado’s Lost Gold Mines and Buried Treasure, Johnson Publishers, Boulder, CO, 55 pages. Bueler, Gladys R. 1975. Colorado’s Colorful Characters, Pruett Publishing Co., CO, 115 pages. Carrillo, Richard F. and Daniel A. Jepson. 1995. Exploring the Colorado Frontier: A Study in Historical Archaeology at the Tremont House Hotel, Lower Downtown Denver, Colorado Dept. of Transportation, 106 pages. Clearfield, Elaine Abrams. 1987. Our Colorado Immortals in Stained Glass, (Publisher unknown) 76 pages. Dallas, Sandra. 1967. No More than Five in a Bed: Colorado Hotels in the Old Days, University of Oklahoma Press, 208 pages. Dorset, Phyllis Flanders.1970. The Story of Colorado’s Gold & Silver Rushes, Barnes & Noble Books, NY, 434 pages. Downing, Sybil,1996. Fire in the Hole, University Press of Colorado, Denver, CO, 239 pages. Eberhart, Perry. 1961. Treasure Tales of the Rockies, Sage Books, CO., 294 pages. Feitz, Leland. 1971. Colorado Trolleys: A Quick History of Colorado’s Streetcar Lines, Little London Press, CO, 60 pages. Ferril, Thomas Hornsby and Helen Ferril (eds.). 1966.The Rocky Mountain Herald Reader, William Morrow & Co., Inc, NY, 284 pages. Frazer, Robert W. 1977.Forts of the West: Military Forts and Presidios and Posts Commonly Called Forts West of the Mississippi River to 1898, University of Oklahoma Press, 246 pages. Freedman, Russell. 1983. Children of the Wild West, Clarion Books, NY, 104 pages. Furman, Evelyn E. Livington. 1972. The Tabor Opera House: A Captivating History, (Publisher unknown) 188 pages. Giddings, Ralph. 1992. The Fort Collins Museum: From the Janis Cabin to A Civic Pressure, 1937-1992, Parkview Publishing Co., CO, 101 pages. Hosokawa, Bill. 1976. Thunder in the Rockies: The Incredible Denver Post, William Morrow & Co., Inc., NY, 447 pages. Hogan, Richard. 1990. Class and Community in Frontier Colorado, University Press of Kansas, 250 pages. Jessen, Kenneth. 1985. Eccentric Colorado: A Legacy of the Bizarre and Unusual, Pruett Publishing, CO, 209 pages. Jessen, Ken. 1986. Colorado Gunsmoke: True Stories of Outlaws and Lawmen on the Colorado Frontier, J.V. Publications, CO, 255 pages. Matsushima, Dr. John K. 1995. A Journey Back: A History of Cattle Feeding in Colorado and the United States, Cattlemen’s Communication, CO, 208 pages. McFarland, Gerald. 1985.A Scattered People: An American Family Moves West, Penguin Books, NY, 280 pages. Mills, Enos. 1998 (Originally published in 1909) The Story of Scotch, Alpine Blue Ribbon Books, CO, 111 pages. Monnett, John H. and Michael McCarthy. 1987. Colorado Profiles: Men and Women Who Shaped the Centennial State, Cordillera Press, Inc., CO, 329 pages. Bancroft, Caroline. 1960. Tabor’s Matchless Mine and Lusty Leadville, Johnson Publishing Co., CO, 24 pages. Bancroft, Caroline. 1967. Estes Park and Trail Ridge, Johnson Publishing Co., CO, 56 pages. Bird, Allan G. 1990. Silverton Then & Now: A Pictorial Journey Through Silverton, Colorado 1874-1922. Access Publishing, CO, 90 pages. Blair, Edward and E. Richard Churchill. 1971. Everybody Came to Leadville, Little London Press, CO, 40 pages. Blair, Edward. 1972. Palace of Ice: A History of Leadville’s Ice Palace, 1895-1896, Little London Press, CO, 48 pages. Brenneman, Bill. 1973. Miracle on Cherry Creek: An Informal History of the Birth and Re-Birth of a Neighborhood, World Press, Inc., Denver, CO, 130 pages. Brunk, Ivan W, 1989. Pikes Peak Pioneers, Pulpit Rock Press, CO, 96 pages. Burnett, Frank Jones. 1983. Golden Memories of Colorado, Mitchener Printing, CO, 205 pages. (Fort Collins history). Colorado Historical Society. 1960. The Historical Encyclopedia of Colorado (2 Volume Set). Cunningham, Chet. 1996. Cripple Creek Bonanza, Republic of Texas Press, TX, 218 pages. Daily, Kathleen Krieger and Gaylord T. Guenin. 1994. Aspen: The Quiet Years, Red Ink, Inc, CO, 703 pages. Dallas, Sandra. 1971. Cherry Creek Gothic: Victorian Architecture in Denver, University of Oklahoma Press, 292 pages. Dallas, Sandra. 1965. Gaslights and Gingerbread: Colorado’s Historic Homes, Sage Books, Denver, 218 pages. Dodds, Joanne West. 1982. Pueblo: A Pictorial History, Donning Co. Publishers, VA, 208 pages. Dunning, Harold Marion. 1971. Over Hill and Vale: Volume III. History of Northern Colorado, Johnson Publishing Co., Boulder, CO, 511 pages. Ellis, Amanda M. 1961. Legends and Tales of the West, Dentan Printing Co., Colorado Springs, 60 pages. Estes Park Women’s Club. 1990. Little Nature Studies of Estes Park, (Publisher Unknown), 125 pages. Feitz, Leland. 1967. Myers Avenue: Cripple Creek’s Red Light District – A Quick History, Little London Press, CO, 31 pages. Fort Collins Friends of the Library. 1992. Talking About Fort Collins: Selections from Oral Histories, 79 pages. Fry, Norman Walter. 1954. Cache LaPoudre: “The River”, (Publisher unknown) 51 pages. Georgetown Society, Inc. 1990. Georgetown and Silver Plume: Guide to the Historic District, Cordillera Press, Inc., CO, 48 pages. Goodstein, Phil. 1993. The Seamy Side of Denver, Denver New Social Publications, CO, 284 pages. Hagen, Mary. 1984. Larimer County Place Names: A History of Names on County Maps, Old Army Press, CO, 86 pages. Hendren, Frederick M. 1984. Pikes Peak Legacy: Historic and Pictorial Highlights of the Region, Great Western Press, CO, 47 pages. Hicks, Dave. 1976. Estes Park: From the Beginning, Eagan Printing Co., CO 60 pages. I can think of no more delightful place to go on a vacation than Colorado, a state of true Western hospitality. Jessen, Kenneth. 1984. Thompson Valley Tales: A Book About Estes Park, Loveland, Berthoud, Johnston and Milliken, Century One Press, CO, 98 pages. Lee, Mabel Barbee. 1958. Cripple Creek Days, University of Nebraska Press, 270 pages. Leonard, Stephen J. and Thomas J. Noel. 1990. Denver: Mining Camp to Metropolis, University of Press, Colorado, 544 pages. Mills, Enos. 1991 (Originally printed in 1915). The Rocky Mountain Wonderland, University of Nebraska Press, 387 pages. Mills, Enos A. 1999 (originally published in 195).The Story of Early Estes Park,Temporal Mechanical Press, CO, 91 pages. Noel, Thomas J. 1982. The City and the Saloon: Denver 1858-1916, University of Nebraska Press, 148 pages. Noel, Thomas J. and Barbara S. Norgren. 1987. Denver: The City Beautiful, Historic Denver Inc., CO, 248 pages. Noel, Thomas J., Paul F. Mahoney and Richard E. Stevens. 1994. Historical Atlas of Colorado, University of Oklahoma Press, 60 pages. Parrish, Shirley Rietveld. 1959. The Epic of Larimer County, Win-Art, Inc., CO, 82 pages. Pearl, Richard M. 1964. America’s Mountain: Pikes Peak and the Pikes Peak Region, Little London Press, CO, 36 pages. Pearce, Sarah J. and Christine Pfaff. 1987.Guide to Historic Central City and Black Hawk, Cordillera Press, Inc., CO, 48 pages. Pickering, James H. 1995. Frederick Chapin’s Colorado: The Peaks About Estes Park and Other Writings, University Press of Colorado, 229 pages. Platt, Sarah. 1942. Pioneers of the San Juan Country, The Out West Printing and Stationery Company, CO, 192 pages. Porter, Eliot. 1963. The Place No One Knew: Glen Canyon on the Colorado, Ballantine Books, CO, 75 pages. Rohrbough, Malcolm J. 1986. Aspen: The History of a Silver Mining Town, 1879-1893, Oxford University Press, NY, 263 pages. Skala, Mrs. Helen and Mrs. Dora Krocesky. 1972. Leadville’s Tales from the Old Timers: The Last Years of Baby Doe Tabor, B & B Printers and Lithographers, CO, 52 pages. Skolout, Patricia Farris. 1989. Colorado Springs History A to Z: With Photographs of the Early Days and a Guide of Places to Visit in the Pikes Peak Region, (Publisher unknown) 69 pages. Smith, Barbara. 1970. Greeley, Colorado: 1870-1970 The First Hundred Years, The Journal Publishing Co., CA, 96 pages. Stauffer, Ruth. 1976. This was Estes Park: Historical Vignettes, Estes Park Area Historical Museum, 63 pages. Sundberg, Wayne. 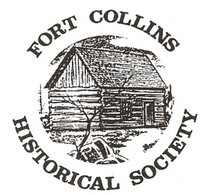 2014.Fort Collins at 150 – A Sesquicentennial History. HPN Books. 244 pages. Sundberg, Wayne. 1975. Historic Fort Collins, The Old Army Press, Fort Collins, CO, 32 pages. Swanson, Evadene Burris. 1993. Fort Collins Yesterdays, George and Hildegarde Publishers, CO, 297 pages. Taylor, Bayard. Colorado: A Summer Trip, University Press of Colorado, 185 pages. 1989. Adams, Andy. 1964. The Log of a Cowboy: A Narrative of the Old Trail Days, (Reproduced from the edition published in 1903). University of Nebraska Press, NE, 387 pages. Arnold, Sam. 1969. Frying Pans West, Pruett Press, Inc., CO, 50 pages. Arnold, Sam’l P. 1990. Eating Up the Santa Fe Trail, University Press of Colorado, 130 pages. Benham, Jack and Sarah. 1966. Rocky Mountain Receipts and Remedies: A Souvenir Collation of Early Day Receipts and Remedies Including Homesteader Hints, Bear Creek Publishing Co., CO, 58 pages. Bryant, Tom and Joel Bernstein. 1993. A Taste of Ranching: Cooks and Cowboys, Border Books, NM, 146 pages. Colorado Historical Society. 1997. Across Colorado: Recipes and Recollections, Roberts Rinehart Publishers, CO, 336 pages. Conlin, Joseph R. 1986. Bacon, Beans and Galantines, University of Nevada Press, 246 pages. Curtis, Nancy (editor). 1986. Cowpuncher Poetry: A Collection of Campfire Stories, High Plains Press, Glendo, WY. Fort Collins Junior Womans’ Club. 1976. The Avery House Collection: Recipes and Biographical Sketches, (Publisher unknown), 133 pages. Green, Ben K. 1982. Some More Horse Tradin’, Alfred A. Knopf, New York, 255 pgs. Haynes, Diana. 1995. The Dude Ranch Cookbook, Country Roads Press, ME, 181 pages. Ladies of the First Baptist Church. 1896. Our Best Receipts, Argus Printing Co., CO, 119 pages. Luchetti, Cathy. 1989. Under God’s Spell: Frontier Evangelists, 1772-1915, Harcourt Brace, Jovanovich, NY, 243 pages. Luchetti, Cathy. 1993. Home on the Range: A Culinary History of the American West, Villard Books, NY, 328 pages. Lummis, Charles F. 1928. A Bronco Pegasus, Houghton Mifflin Co, The Riverside Press Cambridge, 150 pages. MacEwan, Grant. 1975. Blazing the Old Cattle Trail, Western Producer Prairie Books, Saskatchewan, 248 pages. McDowell, Bart. 1972. The American Cowboy in Life and Legend, The National Geographic Society, NY, 211 pages. Potter, Edgar “Frosty”. 1995. Cowboys Talk Right Purty! Colorful cowboy sayings, stores and poetry told by a hundred-year-old cowboy! Golden West Publishers, CO, 124 pages. Potter, Edgar “Frosty”. 1996. Cowboy Slang. Golden West Publishers, CO, 125 pages. Smith, Lawrence B. 1936. Dude Ranches and Ponies, Coward-McCann, New York. Sonnichsen, C.L. 1950. Cowboys and Cattle Kings: Life on the Range Today, University of Oklahoma Press, 316 pages. Watson, Tom. 1991. Cowboy Cooking: Recipes from the Cowboy Artists of America, Northland Publishing, AZ, 162 pages. Watts, Peter. 1977. A Dictionary of the Old West, Alfred A. Knopf, NY, 399 pages. Williams, Jacqueline. 1993. Wagon Wheel Kitchens: Food on the Oregon Trail (Foreward by Sam’l P. Arnold), University Press of Kansas, 222 pages. Bancroft, Caroline. 1961. Unique Ghost Towns and Mountain Spots, Johnson Publishing Company, Boulder, CO, 95 pages. Brown, Robert L. 1968. Ghost Towns of the Colorado Rockies, The Caxton Printers, Ltd., ID, 491 pages. Florin, Lambert. 1971. Colorado-Utah Ghost Towns, Superior Publishing Co., Seattle, WA, 112 pages. Jessen, Kenneth, 1998. Ghost Towns Colorado Style, Volume One – Northern Region, J.V. Publications, CO, 508 pages. Jessen, Kenneth, 1999. Ghost Towns Colorado Style, Volume Two – Central Region, J.V. Publications, CO, 616 pages. Martin, MaryJoy. 1985. Twilight Dwellers of Colorado: Ghosts, Ghouls and Goblins, Pruett Publisher CO., Boulder, CO, 167 pages. Murray, Earl. 1988. Ghosts of the Old West, A Tom Doherty Associates Book NY, 201 pages. Gardiner, Charles Fox, M.D. 1940. Doctor at Timberline, The Caxton Printers, Ltd., 315 pages. Gates, Zethyl. 1981.Mariano Medina: Colorado Mountain Man, Johnson Publishing Co., CO, 110 pages. Lamm, Richard D. and Duane A. Smith. 1984. Pioneers and Politicians: 10 Colorado Governors in Profile, Pruett Publishing Co., CO, 187 pages. Odell, Roy Paul and Kenneth C. Jessen. 1996. An Ear in his Pocket: The Life of Jack Slade, J.V. Publications, CO, 122 pages. Paton, Patricia. 1993. A Medical Gentleman: James F. Waring, M.D., Colorado Historical Society, CO, 232 pages. Ruhtenberg, Polly King and Dorothy E. Smith. 1972. Henry McAllister: Colorado Pioneer, Pine Hill Press, SD, 52 pages. Savage, William W., Jr. 1993. Cowboy Life: Reconstructing An American Myth, University Press of Colorado, 233 pages. Smith, Duane A. 1989. Horace Tabor: His Life and the Legend, University of Press, Colorado, 395 pages. Smith, Duane A. and Ronald C. Brown. 2001. No One Ailing Except a Physician: Medicine in the Mining West, 1848-1919. University Press of Colorado, 160 pages. Akridge, Sandra. 1985. The Enigma of Silver Dollar Tabor, The Library of Congress, Washington, D.C.
Ahlbrandt, Arlene Briggs. 1999. Lady Moon and Her Animal Friends, Morris Publishing, NE, 49 pages. Ahlbrandt, Arlene and Mary Hagen, 2001. Women to Remember of Northern Colorado, Azure Publishing, CO, 126 pages. Bancroft, Caroline. 1955. Silver Queen: The Fabulous Story of Baby Doe Tabor, Johnson Books, CO, 80 pages. Bancroft, Caroline, (Date unknown). The Unsinkable Molly Brown, Johnson Books, CO, 44 pages. Bancroft, Caroline.1965. Six Racy Madams of Colorado, Johnson Publishing Co., CO, 64 pages. Bird, Isabella L. 1960. A Lady’s Life in the Rocky Mountains, University of Oklahoma Press, 251 pages. Blair, Kay Reynolds. 1971. Ladies of the Lamplight, Little London Press, CO, 40 pages. Bluemel, Elinor. (date unknown) .Florence Sabin: Colorado Woman of the Century, University of Colorado Press, 238 pages. Brown, Dee,. 1958. The Gentle Tamers: Women of the Old Wild West, University of Nebraska Press, 317 pages. Brown, Mable. 1990. First Ladies of Wyoming, 1869-1990, Wyoming Commission on Women, WY, 160 pages. Buren, Dorothy. 1952. Daughters of the American Revolution in Colorado H 1894-1953, The Dentan Printing Co., CO, 99 pages. Butler, Anne M. 1985. Daughters of Joy, Sisters of Misery: Prostitutes in the American West, 1865-90, University of Illinois Press, 179 pages. Cleaveland, Agnes Morley. 1941. No Life for a Lady, University of Nebraska Press, 356 pages. Cornell, Virginia. 1991. Doc Susie: The True Story of a Country Physician in the Colorado Rockies, Ivy Books, NY, 235 pages. Custer, Elizabeth B. 1961. Boots and Saddles: Or, Life in Dakota with General Custer, University of Oklahoma Press, 276 pages. Danker, Donald F. 1959. Mollie: The Journal of Mollie Dorsey Sanford in Nebraska and Colorado Territories, 1857-1866, University of Nebraska Press, 199 pages. Dary, David. 1995. Seeking Pleasure in the Old West, Random House, NY, 352 pages. Drago, Harry Sinclair. 1969. Notorious Ladies of the Frontier, Dodd, Mead and Co., NY, 170 pages. Ellis, Anne. 1929. The Life of an Ordinary Woman, University of Nebraska Press, 301 pages. French, Emily. 1987. Emily: The Diary of a Hard-Worked Woman, University of Nebraska Press, 166 pages. Harris, Katherine. 1993. Long Vistas: Women and Families on Colorado Homesteads, University of Colorado Press, 216 pages. Johnson, Dorothy M. 1997. Some Went West, University of Nebraska Press, 180 pages. Jones-Eddy, Julie. 1992. Homesteading Women: An Oral History of Colorado, 1890-1950, Twayne Publishers, NY, 252 pages. Karsner, David. 1932. Silver Dollar, Crown Publishers, NY, 354 pages. Levenson, Dorothy. 1973. Women of the West, Franklin Watts, Inc., NY, 88 pages. Luchetti, Cathy and Carol Olwell. 1982. Women of the West, Orion Books, NY, 240 pages. Mathes, Valeria Sherer. 1990. Helen Hunt Jackson and Her Indian Reform Legacy, University of Texas Press, 235 pages. Mefford, Jack, Janet Sanders-Richter and Jan Weir. Hardships and Hopes: Fascinating Frontier Women of Northern Colorado, (Publisher and date of publication unknown), 94 pages. Miller, Lafi. 2000. Those Crazy Pioneers: With the Life and Times of Lady Moon & Vignettes of History, Lafi Miller Pub., CO, 167 pages. Mills, Esther Burnell (with contributions by Enos A. Mills). 1999 (Originally published in 1920) A Baby’s Life in the Rocky Mountains, Temporal Mechanical Press, CO, 128 pages. Morgan, Speer. 1979. Belle Starr, Pocket Books, NY, 310 pages. Moynihan, Betty. 1988. Augusta Tabor: A Pioneering Woman, Cordillera Press, Inc., Colorado, 144 pages. O’Brien, Theresa. 1963. The Bitter Days of Baby Doe Tabor and Memories of the High Country, 14 pages. Riley, Glenda. 1984. Women and Indians on the Frontier, 1825-1915, University of New Mexico Press, 336 pages. Riley, Glenda. 1988. The Female Frontier: A Comparative View of Women on the Prairie and the Plains. University Press of Kansas, 299 pages. Roach, Joyce Gibson. 1990. The Cowgirls, The University of North Texas Press, 259 pages. We’ll be married in the spring. Roberts, Martha Gaby. 1977. Honeymaid: The Story of Silver Dollar Tabor, Golden Bell Press, CO, 112 pages. Robertson, Janet. 1990.The Magnificent Mountain Women: Adventures in the Colorado Rockies, University of Nebraska Press, 220 pages. Russell, Hal Mrs. 1956. Settler Mac and the Charmed Quarter-Section, Sage Books, CO, 159 pages. Seagraves, Anne. 1991. Women Who Charmed the West, Wesanne Publications, ID, 176 pages. Seagraves, Anne. 1992. High-Spirited Women of the West, Wesanne Publications, ID, 174 pages. Seagraves, Anne. 1994. Soiled Doves: Prostitution in the Early West, Wesanne Publications, ID, 173 pages. Seagraves, Anne. 1996. Daughters of the West, Wesanne Publications, ID, 176 pages. Seagraves, Anne. 2002. Roses of the West, Wesanne Publications, ID, 175 pages. Stewart, Elinore Pruitt. 1961. Letters of a Woman Homesteader, University of Nebraska Press, 282 pages. Turner, Wallace B., Ph.D. 1982. Colorado Woman’s College: The Story of a Dream, Walsworth Publishing, Co., MO, 296 pages. Colorado Historical Society, 128 pages. Whitacre, Christine. 1993. Molly Brown: Denver’s Unsinkable Lady, Historic Denver, Inc., CO, 82 pages. Wills, May Bennett and Caroline Bancroft. 1966. The Unsinkable Molly Brown Cookbook, Sage Books, CO, 118 pages. Wood-Clark, Sarah. 1991. Beautiful Daring Western Girls: Women of the Wild West Shows, Buffalo Bill Historical Center, CO, 27 pages. Zauner, Phyllis. 1989. Those Spirited Women of the Early West, Zanel Publications, CA, 63 pages.